Established on Earth Day 2012, Sands ECO360 partnered with the Regional Transportation Commission of Southern Nevada (RTC) to create Club Ride Commuter Services Program. The free program works with employers and commuters to reduce traffic congestion, improve air quality and mobility, encouraging the use of commute alternatives, and ultimately create a more sustainable community. The RTC created the incentive program to encourage work commute alternatives such as carpooling, riding transit, walking, biking, and telecommuting among others. 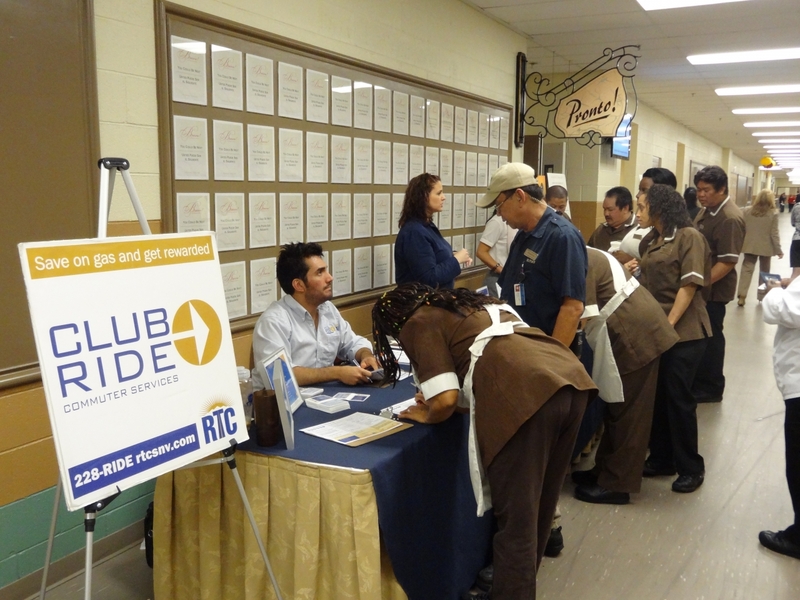 RTC awards participants with gift cards and free monthly bus passes for reporting their commutes. With over 367 partners throughout Las Vegas, the RTC has been able to reduce carbon monoxide emissions by 69.53 tons and has eliminated over seven million motor vehicles miles from Las Vegas roads. Through Sands ECO360, Las Vegas Sands and its Team Members are committed to reducing impact on the planet, advancing sustainability practices externally and internally to engage Team Members to unite around protecting the planet.